We are excited to offer a cool new low-speed vehicle (LSV) alternative to Outer Banks vacationers… GEM Cars! LSV vehicles, have become a popular rental vehicle option for vacationers in the Outer Banks. LSV vehicles, or GEM Cars, are a great alternative from using your car to get around during your Outer Banks vacation. You can enjoy the open air, leisurely making your way around the area, or to your favorite restaurants and attractions in a low-speed vehicle. Getting around is easy without spending a dime on gas! GEM cars can easily carry 4-people, are eco-friendly electric and include a power cord to recharge the vehicle after each use. All of our GEM cars include safety features like headlights, taillights, safety belts and mirrors, plus cupholders, which make transporting beach gear easy. Anyone age 18 or older with a driver’s license is allowed to operate the vehicle. GEM cars are such a fun and cool looking LSV. They are available in multiple colors, and while color can’t be guaranteed when you reserve you’ll be sure to enjoy the options available! They can be driven on any road with a speed limit of 35 mph or less. We are very excited to offer GEM cars in the Outer Banks! GEM Cars are currently only available for weekly rentals and can be picked-up from our Nags Head store located at 7128 S. Virginia Dare Trail Rd. GEM Cars have become quite popular and do tend to sell out. Reserve yours early! The GEM cars cost $649 for the entire week. 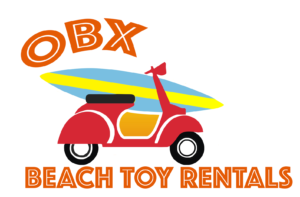 Call us today if you you have any questions about renting a GEM Car for your Outer Banks vacation!